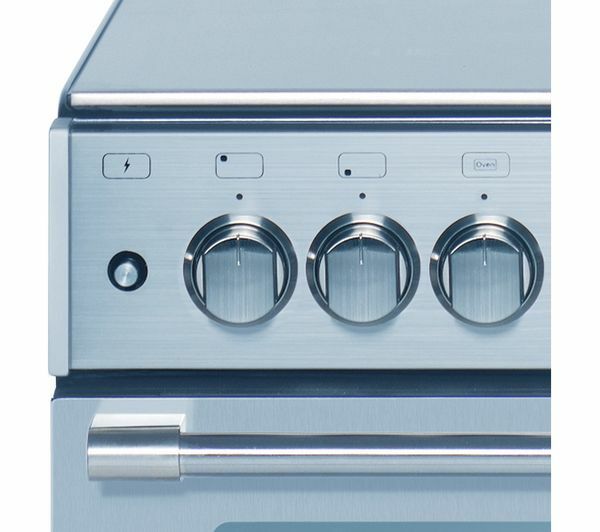 The Stoves Sterling 600G Gas Cooker offers two ovens, four gas burners and an integrated grill for cooking flexibility. The gas cooker uses heat from gas jets at the base of the oven, the rising heat spreads around the entire oven, making it slightly hotter at the top and cooler at the bottom. You can exploit this to cook to dishes simultaneously. Gas cooking gives you more cooking control with immediate heat alteration. The double oven cooker provides ample space for family meals. 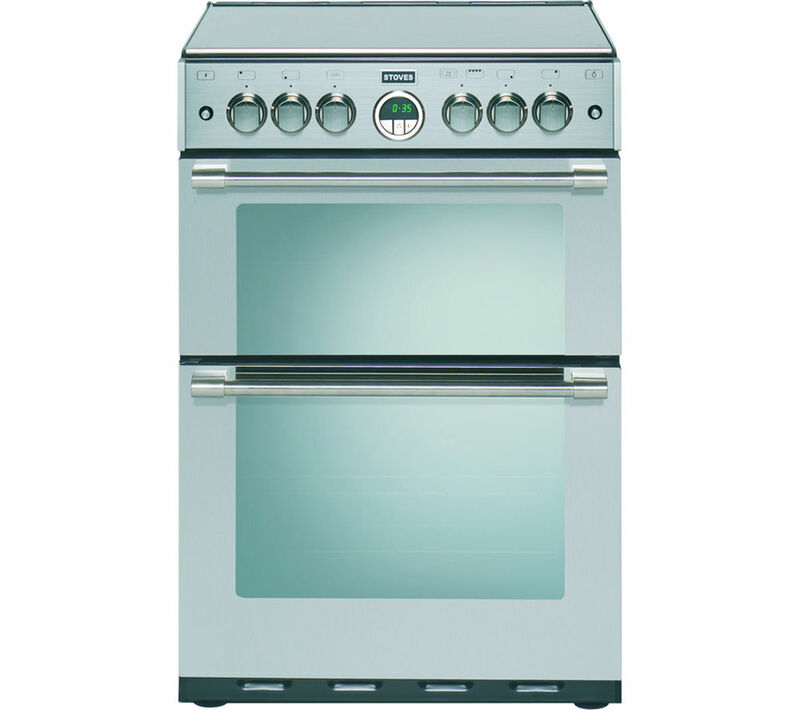 The conventional oven is built with an easy-clean enamel interior, making it easy to wipe clean after use. One of the ovens also doubles as an electric grill, providing you with a variety of cooking options. The 600G is topped off by four powerful gas hobs, with ample room for your pots and pans on the cast-iron pan supports. 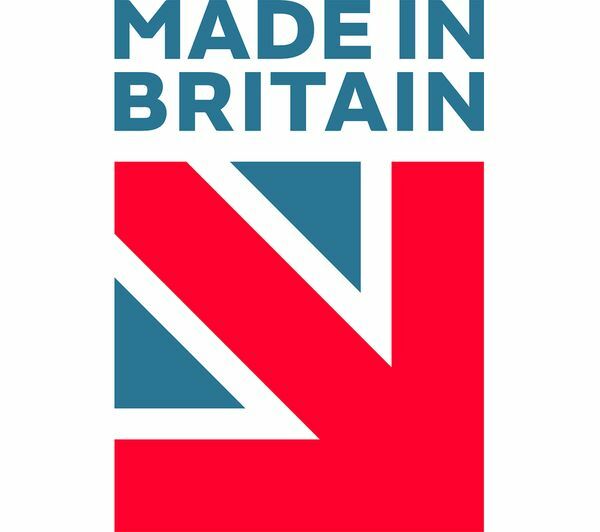 The hob comes with a stylish glass lid with a safety cut-off feature that stops the gas supply when the lid is lowered. There's also a flame safety device that turns off the gas if the flame is ever extinguished. 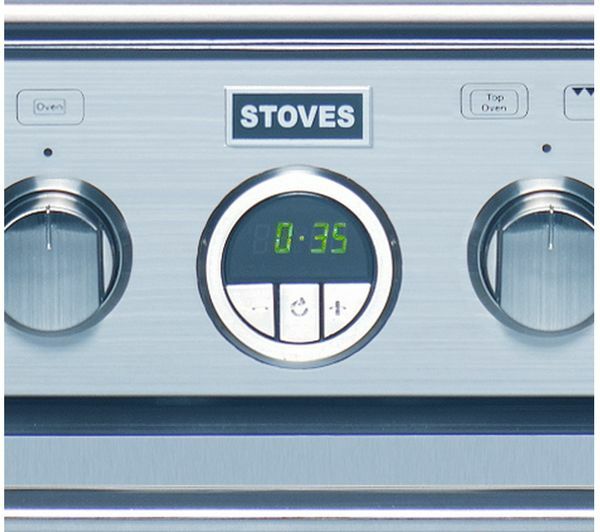 The fully programmable cooker is built with a chic LED display and timer for complete ease of use. Finished in sleek stainless steel, the Stoves Sterling 600G Gas Cooker offers great cooking space with flexible features. Please note this product needs to be installed by a qualified engineer, such as one of our Knowhow experts. It works and it looks good! Very modern to see thats what i wanted ive had stoves befor loved my oven wish i hadnt changed to another cooker , my new stoves is perfect easy to use keep clean and when the lid is down you know its safe the gas is off , my child is grown up this oven is safe around young children , its knobs to turn on would be hard for a young child if playing and decided the oven was a toy as we know we keep children away from appliances like ovens i agree its a modern safe easy to maintain oven , as it was purchased on line it looked blue but it a gorgeous brushed silver with heavy iron plates the part were your pans stand on which i wanted im pleased with all aspects of this stoves oven , i wouldnt expect anything less you pay for quality this oven is worth every penny . Ive only had it a few weeks i havnt found anything to say bad about my oven . Had a stove cooker before and liked it , was weary about getting another after reading the reviews on this model. I have to say I love my cooker. I have got used to having an electric grill. The timer is easy to use. No issues with cooking times. I would recommend this cooker. Tried to upload a photo but not very good with technology. Would have liked a light in the top oven. Would also have liked self cleaning liner in the main cooker as my last cooker had that option. When using the top oven, the controls get very hot otherwise warm with the main oven. I have to count to 30 when lighting the oven holding the dial in, if not it goes out, again not a biggy as i have to hold dial in in our caravan. It looks very good in stainless steel but with a black enamel top panel, which is easy to keep clean. The cast iron pan supports are strong & don't move around, which they did on our previous cooker. Each burner has its own flame failure device, which is an extra safety feature. The control knobs are large with clear markings. When setting the timer it is easy to accidentally set the oven to turn off after the set time. This is indicated by a small 'A' in the corner of the display. Once the user is aware of this potential problem it should work OK.